THE TALK OF town would seem to be ROC independence versus Taiwanese independence these days. 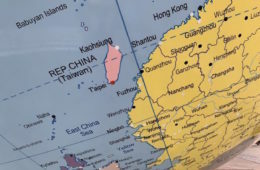 While it is conflicted territory as to what constitutes ROC independence (華獨) and what constitutes Taiwanese independence (台獨), it is largely agreed upon that ROC independence calls for some measure of preserving de facto Taiwanese independence but not changing the ROC name and constitution, although there may be calls to localize the ROC state and constitution. On the other hand, Taiwanese independence calls for a new constitution and for there to be an establishment of some version of a Republic of Taiwan which is not the Republic of China (中華民國). 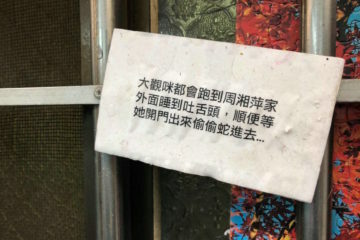 The critique leveled against the use of these terms, which is with some justification, is that the accusation ROC independence is thrown around by Taiwanese independence advocates against anyone of whom they would disapprove. This is, admittedly, quite often the case. However, in still other cases, the call for going beyond Taiwanese independence and ROC independence is mere disguise for calling for the position of ROC independence. 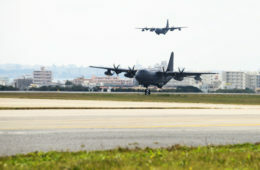 And the question of Taiwan’s future which is now phrased in terms of the conflict between ROC independence and Taiwanese independence is actually a rather old dilemma and one which remains without resolution to the present. 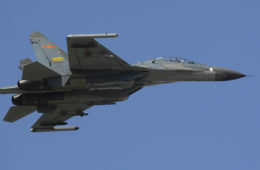 ROC independence would be a position closer to that of the current status quo, and many fear that pushing beyond the current status quo may be overly threatening to Taiwan. On the other hand, it is to be questioned whether Taiwan’s current status can last indefinitely without the permanent achievement of Taiwan’s de jure independence. Can we label the DPP’s present actions as hewing closer to the course of ROC independence than Taiwanese independence? 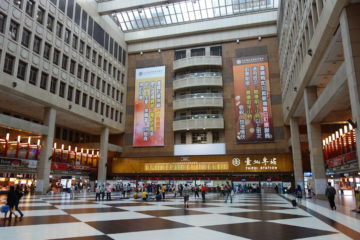 Historically, the DPP was the party of Taiwanese independence. But the DPP’s consideration at present under Tsai Ing-Wen would seem to be that pushing for Taiwanese independence is too dangerous and possibly disruptive of cross-strait relations. 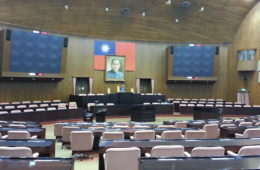 At present, then, the DPP seems to wish to shrug off the historical baggage of its Taiwanese independence platform, which is written into the party’s constitution, without suggesting to party supporters that it is betraying the history of the party. 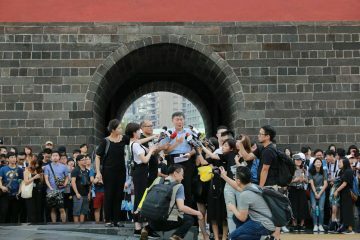 If we see strange claims that it is the KMT and PFP which are in favor of ROC independence as of late, as we see in a recent article by Thinking Taiwan editor-in-chief J. Michael Cole, this would be an attempt to redefine the political position that ROC independence is used as a term of criticism against. On the contrary, perhaps revealingly about why such an attempt at redefinition would be made, it is usually the DPP under Tsai Ing-Wen which is accused of being in favor of ROC independence. While it is true that there are mixed elements within the KMT that drift between calling for outright unification with China and a position fairly close to ROC independence, it is hard to imagine how the PFP of all parties is in favor of “independence” in any form. But as we have seen in the past several years of Taiwanese politics, the overall trajectory of the KMT as a whole has generally hewed closer and closer to “unification”. 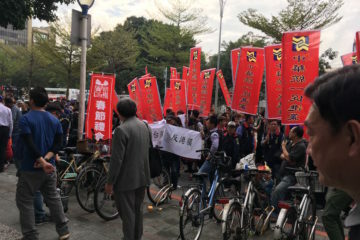 The attempt is even made to claim the KMT and PFP belong to more moderate forces of “ROC independence”, including the bizarre claim that a KMT pro-unification diehard such as Hung Hsiu-Chu is in favor of “ROC independence,” and that it is the New Party and China Unification Promotion Party who are the real pro-unification forces out there. But the People First Party, New Party, China Unification Promotion Party largely operate within the political orbit of the KMT to begin with, and arguably at heart they still remain KMT. It is no mistake that individuals in Taiwan speak of the possible “New Party-ification” (新黨化) of the KMT should Hung Hsiu-Chu win the race for party chairmanship of the KMT, as she is very likely to do. Even if the China Unification Promotion Party would seem like an outlier party, founded as it is by the former gangster and killer of political dissidents on behalf of the KMT, “White Wolf” Chang An-Lo, we do well to remember that Chang remains close associates with Ma Yi-Nan, sister of current Taiwanese president and former KMT party chairman Ma Ying-Jeou. 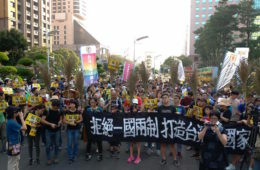 If Taiwanese independence advocates have accused even the third party of the New Power Party—which emerged directly from Sunflower Movement leaders resisting the CSSTA trade bill that was to be signed with China—of being too moderate and too close to the position of ROC independence, it is hard to imagine where exactly one gets by claiming that it is the pan-Blue parties of the KMT and PFP who are the ones pushing for “ROC independence.” Again, the accusation of ROC independence is usually an accusation against pan-Green elements who are thought to have drifted too far away from Taiwanese independence, such as the DPP or the NPP, which still operates on the periphery of the pan-Green alliance despite its ambiguous relationship with the DPP. 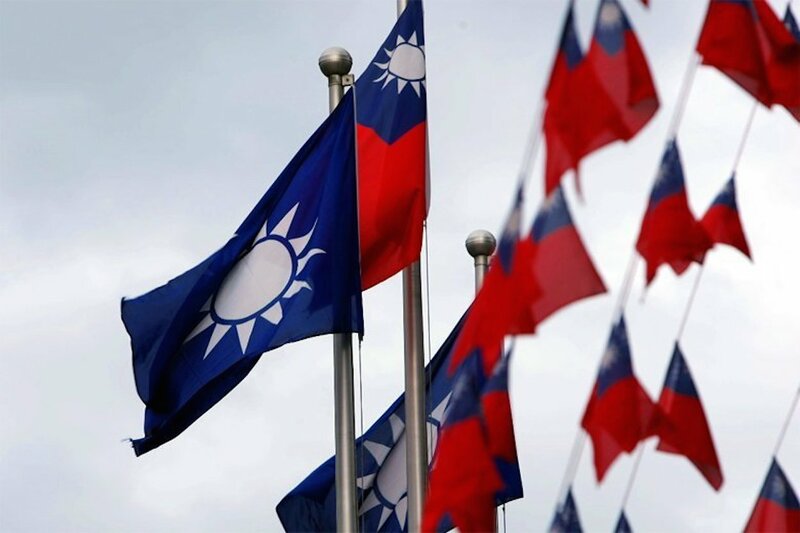 One imagines that most members of the KMT, the PFP, or other pan-Blue parties would balk at being referred to as in favor of “independence” in any form, “ROC independence” or “Taiwanese independence”. 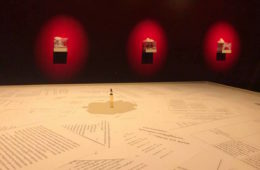 In writing about the use of such terms in Taiwanese discourse about unification/independence politics, one hopes to bridge the sometimes vast gap between Taiwanese political discourse within Taiwan and Anglophone discourse about Taiwan—even if others may arrive at different political conclusions than one’s own. 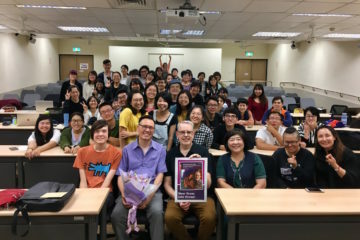 But that leaves open the possibility that individuals seeks to appropriate a term from its original meaning in Taiwanese discourse to create a different meaning for it in English, which creates misleading perceptions about political discourse within Taiwan. 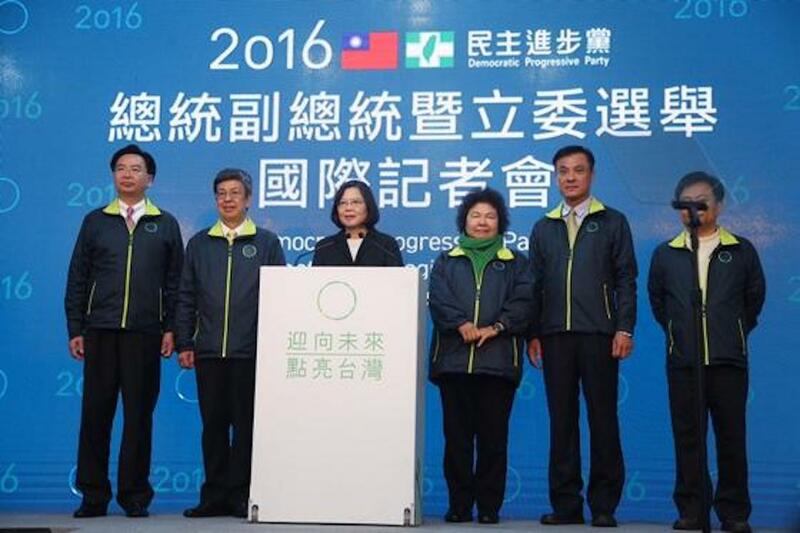 Can we justifiably label Tsai Ing-Wen’s DPP as in favor of ROC independence, then? Tsai Ing-Wen and the DPP will never say so outright, because of the blowback from longtime party supporters that would feel betrayed. 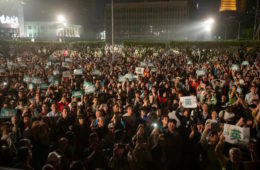 Tsai sent a strong message that she would maintain her administration on the basis of the ROC framework from the night of her presidential victory, in a speech vowing to conduct cross-strait relations on the basis of the ROC constitutional framework and given with a backdrop of a side-by-side ROC and DPP flag. 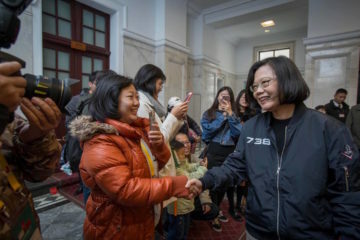 Indeed, within Taiwan, the backdrop on which Tsai gave her speech was taken by many as a sign of her future political stances where the ROC was concerned, but this was a nuance lost upon many observers more remote from Taiwan. 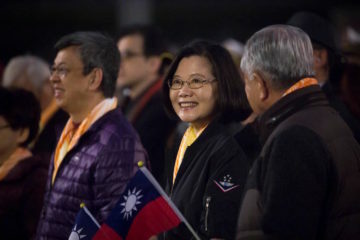 Such individuals continued to view Tsai, in spite of all indications to the contrary as being a pro-independence diehard in line with how her predecessor as a DPP Taiwanese president, Chen Shui-Bian, is sometimes seen. 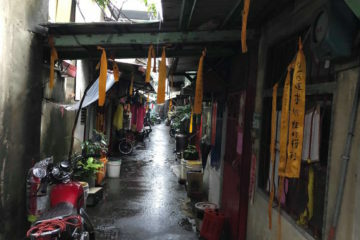 Tsai has a need to avoid such perceptions. Tsai has, of course, not yet taken office. But subsequently the DPP also indicated that, even if it had historically denied the existence of the 1992 Consensus as a KMT fabrication, the DPP would hope to preserve at least the “spirit of the 1992 Consensus” (九二會談精神) in conducting relations with China. 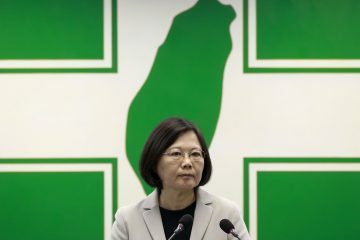 Tsai has also backpedaled on issues of transitional justice where that might mean calling members of the KMT who are still politically active to account for past crimes committed during the authoritarian period—the need to establish bipartisan cooperation with the KMT seeming to be a more pressing concern. And attempts to insist that wishing to conduct cross-strait relations on the basis of the ROC constitution is not ROC independence is, again, another attempt to redefine the political position that the term ROC independence is used as a critique of. On the contrary, the question of what to do about the ROC constitution is one of the central dividing lines between what distinguishes the positions of “Taiwanese independence” and “ROC independence”. If there is the insistence that ROC independence as equated with the KMT and PFP would be something Beijing needs to be wary of, perhaps this is with the suggestion that this opens the path to future cooperation between the DPP, the KMT, and even the PFP. But one suspects largely that Beijing is opposed to any form of independence from Taiwan, “ROC independence” or “Taiwanese independence”. And in consideration of the present level of discourse about Taiwan from leading Chinese intellectuals, even those with direct experience of Taiwan, one also suspects that such nuances between “ROC independence” and “Taiwanese independence” are generally beyond Beijing’s ability to grasp. “ROC independence” and “Taiwanese independence” alike are simply “separatism” for Beijing. 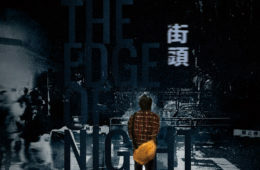 It remains to be seen if the DPP is willing to bend backwards in order to compromise with political forces in Taiwan it, by all means, should not be willing to compromise with. A relabelling of what ROC independence means—to claim that even the KMT and PFP are in favor of some form of “independence”—may be a foreshadowing of this. 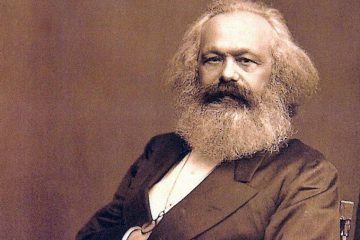 Keywords: What Does the “Dictatorship of the Proletariat” Actually Mean?